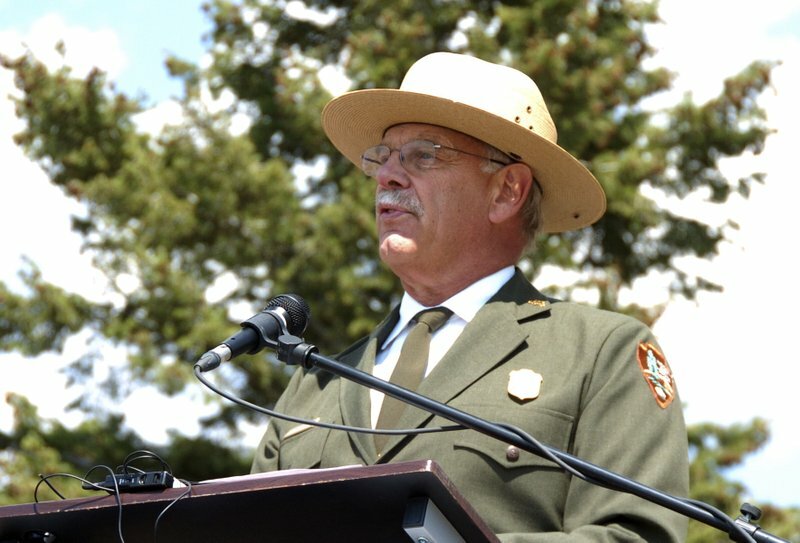 Yellowstone National Park’s superintendent said Friday that he plans to retire next year from a job he called “the best in the National Park Service” and dismissed speculation that the Trump administration pushed him out for political reasons. Superintendent Dan Wenk told The Associated Press that he decided last fall he would retire in early 2019 after more than four decades with the National Park Service. His seven years leading one of the premier national parks have been marked by an explosion in visitor numbers; tension with neighboring states over wild bison slaughters, wolf hunting and grizzly bears; and a sexual harassment scandal involving Yellowstone’s maintenance division that echoed allegations at other national parks. Wenk, 66, said he had not planned to announce his decision to leave so far in advance but went public following recent news reports that said he faced possible transfer to a job in Washington, D.C. He confirmed that a transfer had been proposed — a possibility that had stoked concerns among conservation groups that Interior Department Secretary Ryan Zinke was reassigning senior park service staff for punitive or political purposes. Despite Wenk’s statements, former National Park Service Director Jonathan Jarvis, an Obama appointee, said he thought politics were behind the move. Jarvis said Trump appointees likely were driving out Wenk because he was an advocate for protecting wildlife that crosses back and forth over the park’s border with Montana, Wyoming and Idaho. Installing someone more loyal to the Trump administration, Jarvis said, would fit with its agenda of removing protections for wildlife such as grizzly bears and lowering resistance to industries such as mining. Zinke spokeswoman Heather Swift said she could not comment on personnel matters. In response to Jarvis’ claims, she said an Obama appointee was not a credible source. An investigation into 35 reassignments proposed in the Interior Department since Zinke took office revealed that 16 senior employees viewed their moves as political retribution or punishment for their work on climate change, energy or conservation. Investigators were not able to determine if anything illegal occurred because agency leaders did not document their rationale for the reassignments, according to results of the investigation released by the Interior Department inspector general in April. Wenk said he was “absolutely concerned” about the impact that reassignments within the park service could have in the short term but compared the disruption to shuffling personnel at major corporations. “That’s no different at the National Park Service than it is at General Motors or Toyota,” he said. In a letter to his superiors, Wenk said he intended to stay on through March 30 to finish his work on several projects. Those include relocating park bison not exposed to disease to Montana’s Fort Peck Indian Reservation, working on a long-term visitor use management plan and negotiating several concessions contracts. Yellowstone, established in the 1872 as the first national park in the U.S., covers 3,400 square miles (8,900 square kilometers). Its spouting geysers and abundant wildlife attract tourists from around the world, putting an increasing strain on its natural resources. More than 4 million people visited in each of the past three years. Park advocates described Wenk as an effective leader who took a strong stand for wildlife in disputes with neighboring states but was willing to collaborate. “It’s our hope that whoever (replaces Wenk) understands the importance of protecting the park and its wildlife, not only the 2 million acres in the park but in the context of the 18 million acres of the greater Yellowstone ecosystem,” said Bart Melton with the National Parks Conservation Association. Wenk began his career with the park service as a landscape architect in 1975. He was superintendent of Mount Rushmore National Monument for 16 years and served as the agency’s acting director for nine months in 2009.